The first thing you should know about deck building is that the closer your deck is to 60 cards, the better. Always try to make a 60 card deck. When building a deck, the most important thing to think about is land. If you don't have any land you can't play anything. In a single colored weenie deck you should have about 20 land. 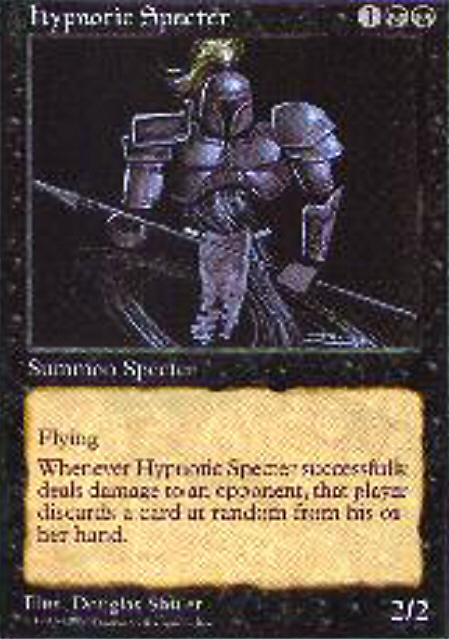 In a single colored deck with a variety of casting costs, you should have about 22 land. If you have a single colored deck that requires a lot of mana you should have about 24 land. In a two colored deck you should always have about 24 land, about 12 of each if you have an equal amount of cards of each color. If you make a 3, 4, or 5 colored deck you will probably need 24 land with some multi-colored land. In a 3 colored deck 4 - 8 multi-colored land should work. In a four colored deck 8 - 12 multicolred land should work. In a 5 colored deck, 16 - 20 multi-colored land should work. Another important part of deck building is creatures. If your deck is designed to win with creatures you should have at least 16. The only exceptin to this is a counterspell deck, which may run only 2 creatures. A deck designed to have a fast creature swarm, such as a weenie deck, should have at least 24 creatures. These spells help in almost every deck, but are not required in some. If you follow these guide lines you should have a good deck.